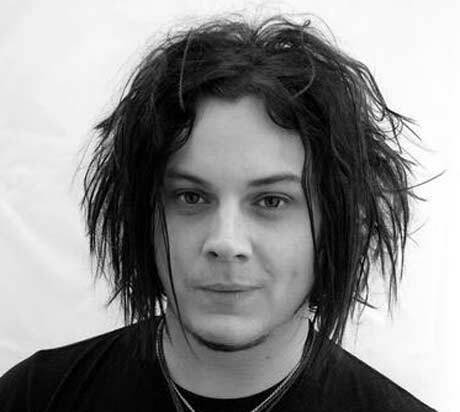 Jack White Will Score the ‘Lone Ranger’ Film!!! Supposedly the idea to get White to do the music for the film came from Depp and director Gore Verbinsky who are big fans of White. The film starring Johnny Depp and Armie Hammer is slated to be released May 31, 2013 according to Variety. This film just got a whole lot cooler. I can’t wait. I smell Third Man Records limited edition vinyl pressings in the future. Take a Look at Disney’s ‘The Lone Ranger’ Trailer!!! Check Out Johnny Depp in The Trailer for ‘The Lone Ranger’!!! Check Out The First Image of Johnny Depp and Armie Hammer in ‘The Lone Ranger’!!! Rock Legend Paul McCartney Joins Pirates Of The Caribbean 5!!! This entry was posted on Wednesday, April 25th, 2012 at 5:17 pm	and is filed under Film, Music, News. You can follow any responses to this entry through the RSS 2.0 feed. You can skip to the end and leave a response. Pinging is currently not allowed. « “It’s Alive!” There’s a New Frankenstein Film In The Works and This Time It Will Be a “Found Footage” Film!!! Linda Fitzgerald on Film Review: ‘Venom’! Gumbercules9000 on An Evening With Beverly Luff Linn Interviews at Fantastic Fest 2018! Rocky Balboa on An Evening With Beverly Luff Linn Interviews at Fantastic Fest 2018! Jack Burton on Fantastic Fest Film Review: ‘Hold the Dark’! Let's see, we've got Schwarzenegger and Betty Boop. Hmm, tough call, they're both really built and they both talk funny. Got a scoop? Submit here.